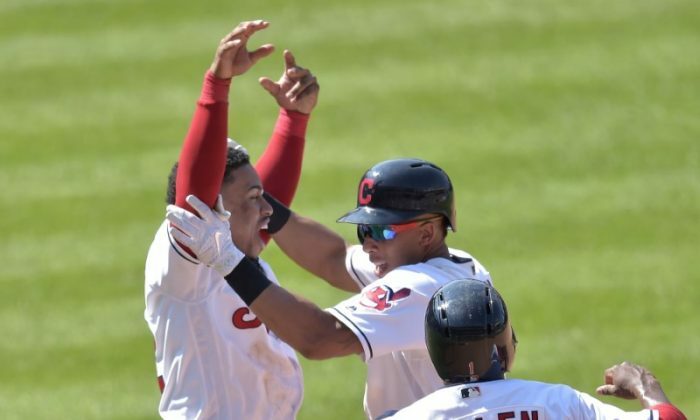 Allen opened the inning with a single off reliever Addison Reed (1-6), stole second and went to third on groundout by Francisco Lindor—who had won Wednesday night’s contest with a three-run, walk-off homer. Brantley followed with the game-winning single through a drawn-in infield into right field. 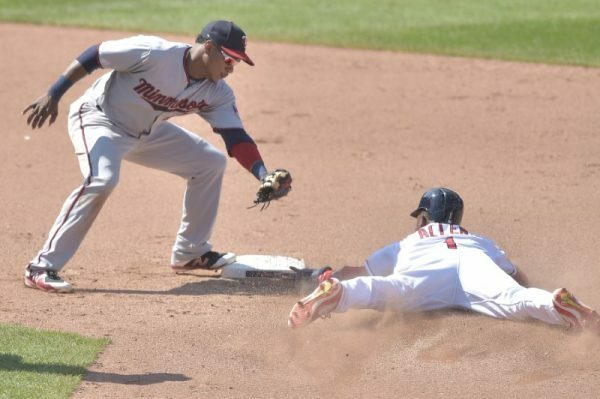 Lindor had two hits—his American League-leading 47th multi-hit game—and drove in three runs, and Yonder Alonso homered for Cleveland. Jason Kipnis walked three times and scored two runs for the Indians, who improved to 21-6 at home against AL Central opponents. 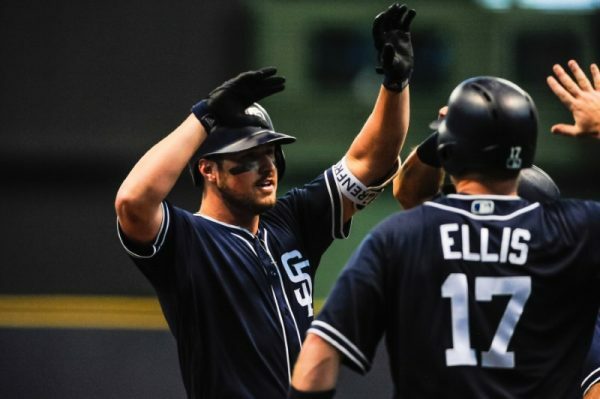 Rookie Franmil Reyes followed Renfroe with an opposite-field homer to right off Jacob Barnes for the Padres’ final run. Mookie Betts hit for the cycle for the first time in his career Thursday night, but it was not enough to give the visiting Boston Red Sox a three-game sweep over the Toronto Blue Jays, who held on to win 8-5. Boston’s six-game winning streak ended while Toronto snapped a three-game skid. 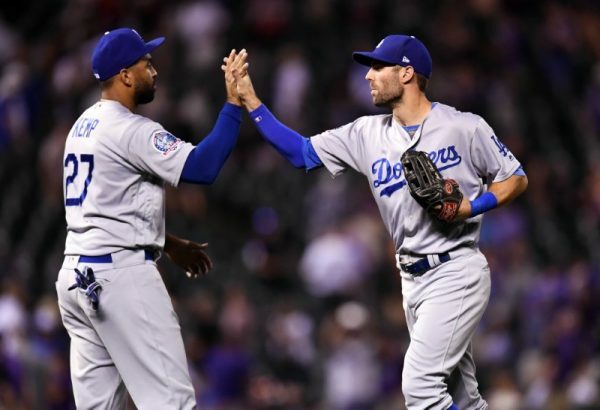 Chris Taylor and Brian Dozier homered in a three-run ninth inning that snapped a 5-5 tie, and Los Angeles beat Colorado in Denver. Cody Bellinger, Joc Pederson and Max Muncy also went deep for Los Angeles, and Caleb Ferguson (3-1) got the win with 1 2/3 scoreless innings of relief. The Dodgers moved into a tie with the idle Arizona Diamondbacks for first place in the NL West. Chris Iannetta went 3-for-4 with a three-run homer, and Nolan Arenado also had three hits for the Rockies, who have lost three of four on their homestand and fell to 2-7 in August. Giancarlo Stanton hit a mammoth solo homer in the fifth inning, J.A. Happ pitched six solid innings, and New York beat visiting Texas. Stanton homered for the third straight game when he hammered a 1-1 fastball from rookie Ariel Jurado (2-2) into the lower rows of the left field bleachers. Stanton’s 28th homer traveled an estimated 449 feet and was clocked at 121.7 mph according to Statcast. It was the hardest hit ball in the majors this season and the hardest hit homer since Statcast was introduced in 2015. 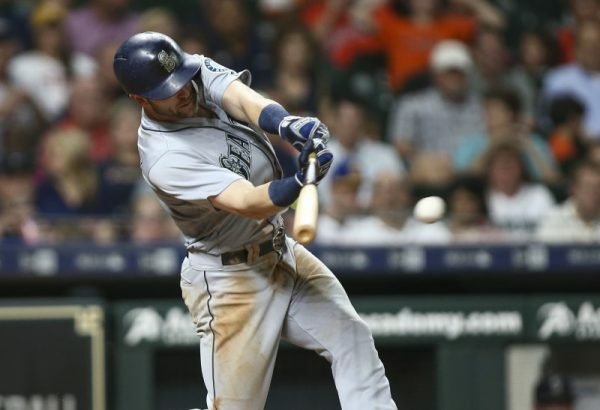 Mitch Haniger, Denard Span and Jean Segura — the top third of the Seattle batting order — combined to finish 10-for-13 with six runs and seven RBIs in a win at Houston. The trio totaled seven extra-base hits, with Span and Segura each recording their ninth homers. James Paxton (10-5) improved to 4-0 in four starts against the Astros this season. Paxton wound up surrendering four runs on seven hits and three walks with five strikeouts over 5 2/3 innings. Astros starter Justin Verlander was ejected after the second inning, having allowed six runs on seven hits with two strikeouts and no walks. Jake Bauers drove in three runs, two on a single that gave Tampa Bay the lead in the seventh inning, as the Rays twice rallied to knock off Baltimore in the rubber game of a three-game series in St. Petersburg, Fla.
After the Orioles broke a 3-3 tie in the top of the seventh on a solo home run by Renato Nunez, the Rays loaded the bases in the bottom of the inning against Cody Carroll (0-1), who walked two in setting up Bauers’ two-out hit to right. The rally gave Yonny Chirinos (1-4) his first major league win. Chirinos tossed five innings of one-run ball. Elias Diaz, Josh Bell and David Freese hit home runs as Pittsburgh, using a five-run seventh inning that was set up by two errors, overpowered host San Francisco in the opener of a four-game series. Ivan Nova (7-6) limited San Francisco to two runs on three hits over six innings. Diaz smacked a two-run homer in the second inning off Giants starter Andrew Suarez (4-8), and Bell immediately followed with a long ball as the Pirates took a 3-0 lead and were never headed.